The Salish Sea urgently needs our protection! Throughout the bioregion our sacred water faces a cumulative toxic load from multiple fossil fuel projects and pollution. 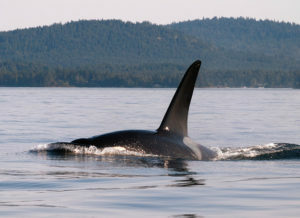 As acid oceans impact declining shellfish and salmon populations, orcas are starving. From the north end of the Strait of Georgia to Puget Sound and Hood Canal, people are uniting their voices to tell the world and local decision makers that we demand protection for the Salish Sea bioregion. The Salish Sea Day of Action is on September 15th, with many opportunities for you to be involved, including a Family Friendly Climate Vigil at Smith Cove Park. September 15th is also International Coast Clean up Day! People around the world will head out to remove accumulated trash from their local shorelines and beaches. Together, we will document the types of debris entering our waterways in an effort to inform practical solutions to the global problem of marine trash. Check here for a map of local clean up locations, including one at Golden Gardens Park. To register for participation in a local clean up, sign up through Puget SoundKeeper. What we do to the water, we do to you and me.